Teachers need more than just 3D printers and seamless software, they need support getting started and teacher-tested lesson plans. 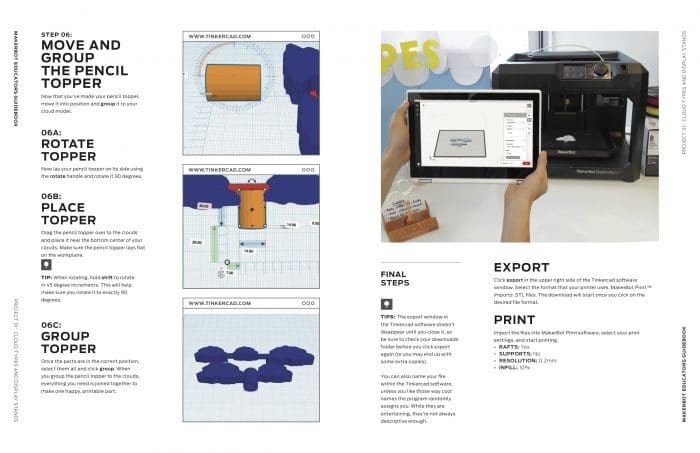 The MakerBot Educators Guidebook directly addresses those needs and adds to MakerBot’s expansive resources for classrooms, including Thingiverse Education, the largest 3D printing curriculum library and community, and the new My MakerBot platform. 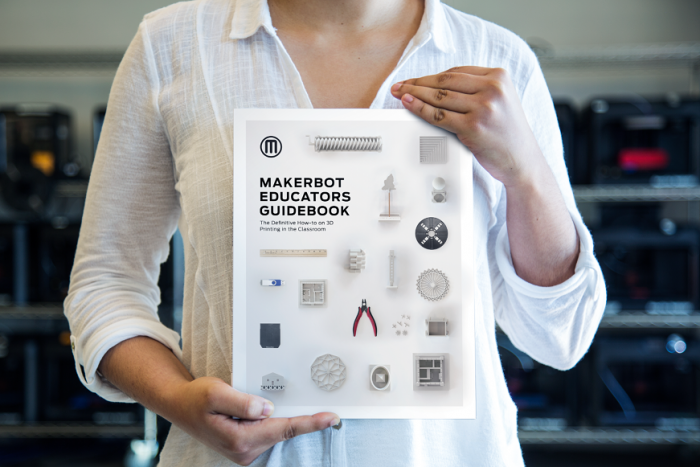 Featuring a crash course in 3D design and printing, as well as nine classroom-ready 3D printing lesson plans, the new MakerBot Educators Guidebook is the definitive how-to on 3D printing in the classroom. The book was written in collaboration with over eighty MakerBot Educators, all dedicated leaders in STEM education, in order to deliver the ultimate resource for learning the basics, best practices and for finding high quality lesson plans. All of the projects available in the guidebook feature step-by-step instructions, the core standards they fulfill, and notes from the authors to guide teachers from start to finish. The nine projects offered are only a small sampling of the lesson plans currently available on Thingiverse Education. With almost 300 lesson plans and with over 14,000 downloaded last month alone, it’s the largest online portal for educators to find 3D printing content into their classrooms. 3D printers aren’t the centre of classrooms, students are. That’s why MakerBot is always working to set new standards in ease-of-use and reliability while connecting teachers to high quality curriculum and the largest community of 3D printing educators.